EXCLUSIVE FOR PRIVATE GROUPS FROM 5 TO 40 PAX. 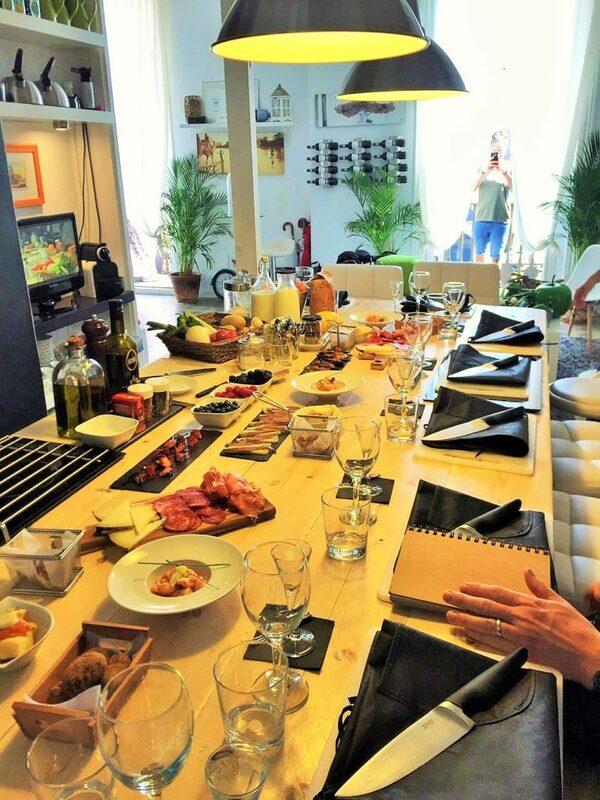 Nestled away in the picturesque Plaça Reial, this dynamic and interactive experience comprises of a tour around the iconic Gothic quarter of Barcelona, followed by a hands-on cookery class. You will be accompanied by a guidebook who will show you the most delightful corners of the city in a tour that combines tradition with vanguard. Visit the best gourmet shops, enjoy their craft, be amazed by the most innovative culinary ideas and learn about their traditional products, and discover the wine bars. Learn about Catalan gastronomic culture, an essential ingredient of its cultural heritage and discover the flavors of Barcelona, one of the world’s leading gastronomic capitals. A visit to the emblematic Boqueria Market is a must for all foodies. From the most prestigious chefs who come early to personally choose the finest products, to the surrounding payesas who come to sell vegetables and fruits from their gardens, the markets of Barcelona are the most vibrant meeting points of the city and Boqueria is no exception. The tour comes to an end in our space in Plaza Real “Just Royal Bcn”. Chef will meet you to take you to the cooking class. Find out the professional secrets of Spanish cuisine in Barcelona, following your hands-on experience. .
From kitchen novices to cooking enthusiasts, those of all skills will take pleasure in learning how to cook Just Royal Bcn’s traditional menu of Spanish omelette, seafood paella and a regional favorite, the famous ‘crema catalana’.